We all left the branch party around 10:00 p.m. but we were told by Caleb that the members would party until well after midnight. Friday truly had been a full day. So I was glad to get back to the hotel and into bed. 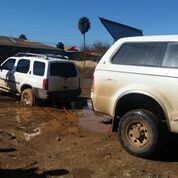 The rain had let up on Friday night, and I was glad because San Quintin only had a few paved roads. I knew on Saturday evening we would be driving all over town to deliver gifts. Unfortunately, it rained all night and well into Saturday morning. Traveling on the dirt roads was going to be a serious challenge. 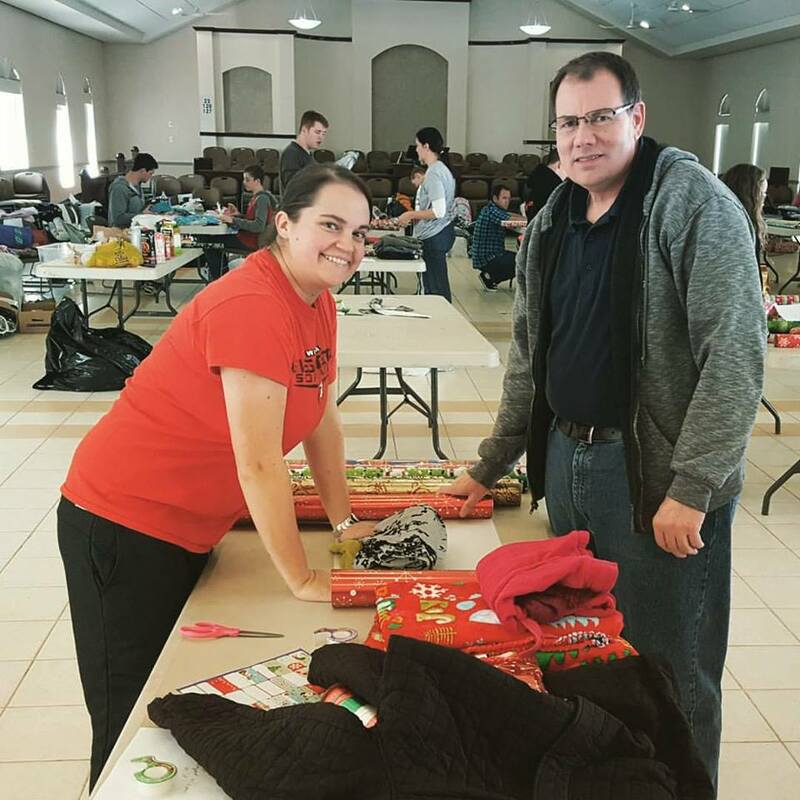 By 10:00 Saturday morning, we were all back at the chapel ready to wrap the hundreds of presents. In previous years, there was a shortage of wrapping paper, scissors, and tape so wrapping took way too long. But this year, we had all those items in abundance. Most important, Mary and her son Nick were highly organized. Each family receiving gifts was assigned a number. Mary and Rick had pre-printed papers with each family’s assigned number as well as their names and details about each family member, including their ages and sizes. We placed 40 chairs around the cultural hall, and Nick taped a family printout on each chair. Next we removed all the donations from the motor home and the truck. 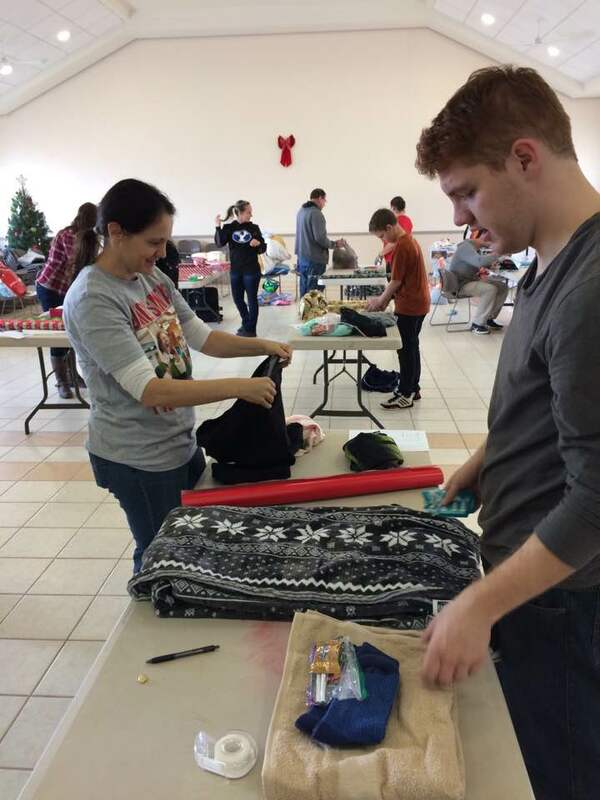 Mary and Nick had already bundled the donations by the family’s number. So we quickly separated the gifts to the appropriate chair. Along with the specifically donated gifts, we had a common table. 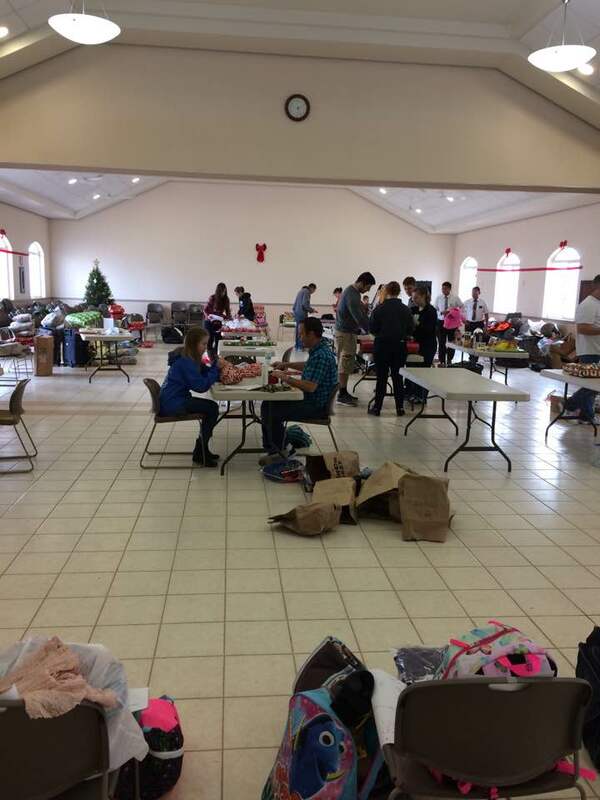 Here we placed extra donations that each family group was able to gather. Mary and Nick would distribute the extras to augment each family’s pile. This had to be one of the best organized Eagle projects I have ever seen, and I have seen many. After that, the wrapping began. Wrapping is not one of my skills. So I worked alongside Meagan, who wrapped while I applied the tape. I soon learned that taping is also not my skill. So Karen and I went out to gather food to keep the wrappers happy. We first went to the only real supermarket in town, CaliMax, but Karen noticed small bread, tortilla, and cake shops down a mud-soaked street. So we got very little at CaliMax and purchased the remainder of the refreshments in these small shops. I can honestly say, there is nothing better than a corn tortilla hot and fresh off the conveyor belt. But I also have to say that there is not the same variation of salsa as there is in the states. Red salsa is hot–very hot. The type of hot that keeps on giving. So after my first salsa experience, I learned to use much moderation. By the time we got back from the food run, most of the presents were wrapped. The true hero of the day was 12 year-old Landon, who wrapped dozens of gifts without complaint and without a break. That boy has some skills.